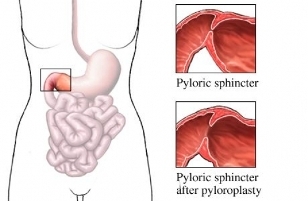 Pyloroplasty is a surgery to correct a narrowing of the pyloric sphincter. The pylorus is a muscular area that forms a channel between the stomach and intestine. Normally, food passes easily from the stomach into the intestine through this sphincter. The pylorus sphincter can become narrowed, usually from an enlargement of the muscle. The condition is called pyloric stenosis . It can cause severe symptoms such as nausea, vomiting, and dehydration . Narrowing of the pylorus can be the result of scarring from ulcers, a hiatal hernia, inflammatory diseases, or a mass, such as cancer. 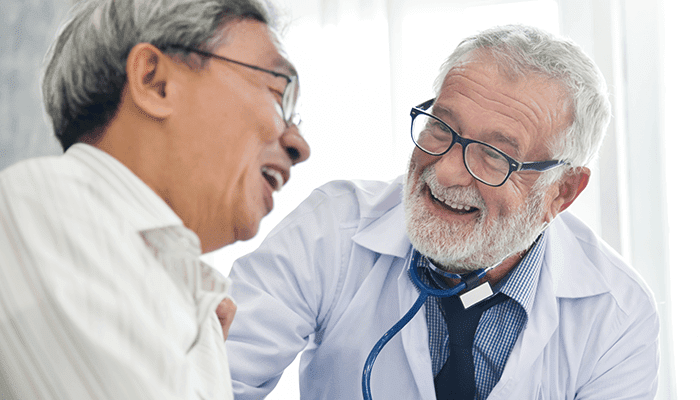 Pyloric stenosis may be a serious condition. Pyloroplasty is often necessary to treat it. Your doctor may order a laxative. This will help you clean out your intestines. Your surgery will be done using general anesthesia . You will be asleep. An incision will be made in the upper part of your abdomen. The pylorus will be exposed. A cut will be made in the muscle of the pylorus. The sphincter will be sewn back together in a way that will make the opening wider. The abdominal muscles will be sewn back together. The skin will be closed with stitches or staples. If your pyloroplasty is done because you have an ulcer, other procedures may be done at the same time. After the surgery, you will be monitored in a recovery area for about 1-2 hours. You will gradually return to a normal diet. 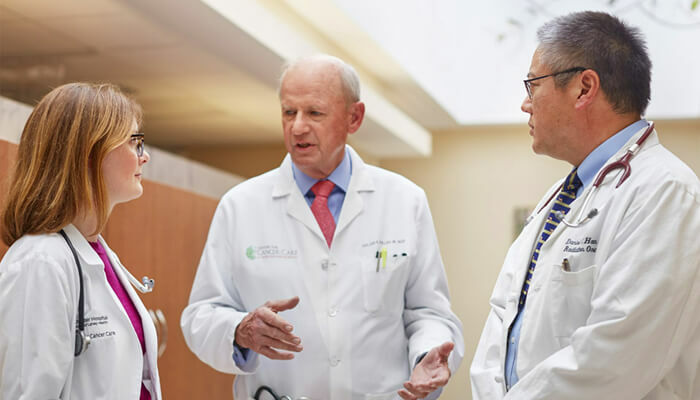 Before you go home, you will be taught how to care for your surgical incision. Dimitrios M, Geis WP, Ginalis EM, Gorcey SA, Stratoulias C. Laparoscopic pyloroplasty in idiopathic hypertrophic pyloric stenosis in an adult. JSLS. 2000;4(2):173–175. Pyloroplasty. Encyclopedia of Surgery website. Available at: http://www.surgeryencyclopedia.com/Pa-St/Pyloroplasty.html. Accessed January 10, 2018.